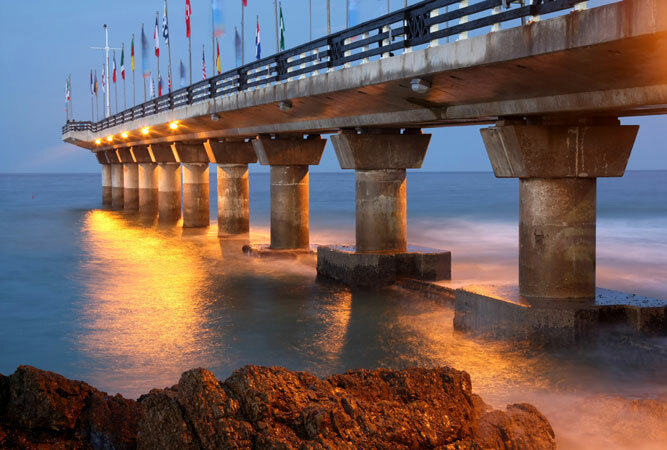 For those #travellers after photo moments worth sharing on Instagram and other social media, look no further than these #highlights of the Eastern Cape. We’ve put together a list of beautiful spaces, extraordinary spots, and remote places to share with the rest of the world. 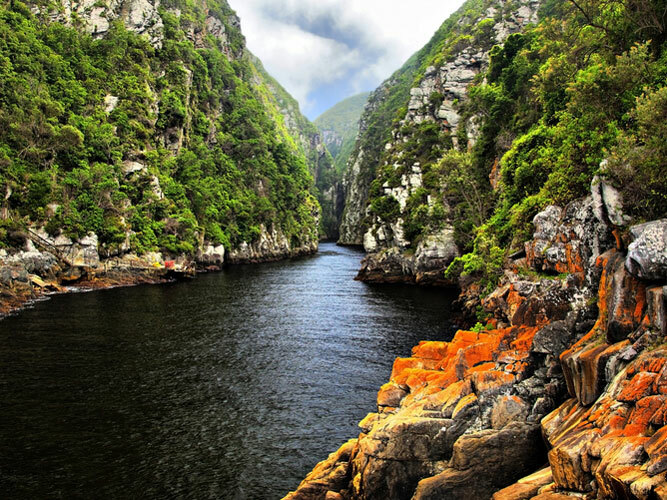 Everyone knows the incredible view over the Storm’s River Mouth from the suspension bridge in the Tsitsikamma National Park, but there are other views as tremendous on the opposite side of the park. Hike along the start of the famous five-day Otter Trail for fantastic sea views, and for forest views, do the indigenous forest trail. 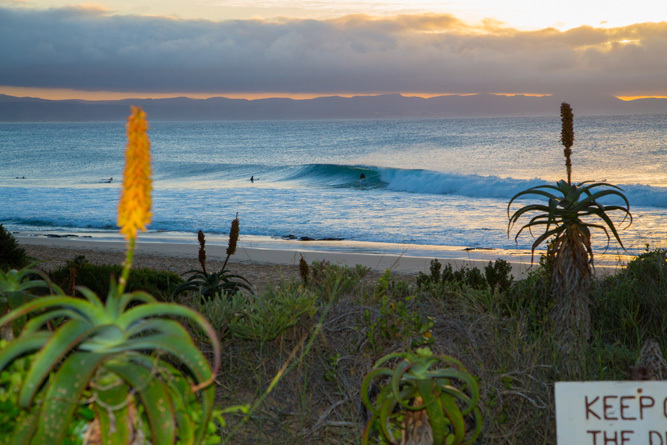 This relatively undeveloped six kilometre beach lies between the Kromm River and St Francis its name bestowed for the views, the lack of commercialisation, the big waves, photo opportunities and dearth of tourists. If you want a beach almost to yourself, then this secluded but calm and rocky beach in Jeffrey’s Bay is it. Described as remote and most often underestimated (it can be a tough drive if you’re caught in either mist or snow) this is one of the most scenic passes in the Eastern Cape, its snaking s-bends the route to the summit (watch your hats!) at 6300 feet above sea level. The scenery on this endurance hike along the Eastern Cape’s Wild Coast is incredible – one photo moment followed by the next. If you were short of scenic shots before the hike by the time you’ve completed the four-day, 57 km trail, you’ll have enough seascape pics to last a lifetime. Port St Johns lesser-known beach (it has three) is also dubbed the ‘deadliest beach in the world’ for its high incidence of shark attacks. But you’re there for the scenery rather than the swimming. This curved bay, overlooked by green cliffs and etched by a wide, sandy beach, is one of the most beautiful on the Wild Coast. When it comes to scenic views, it doesn’t come better than this national park. Views out over the Karoo town of Graaff-Reinet on one side, the Valley of Desolation overlooking a wide sweeping Karoo plain, on the other. 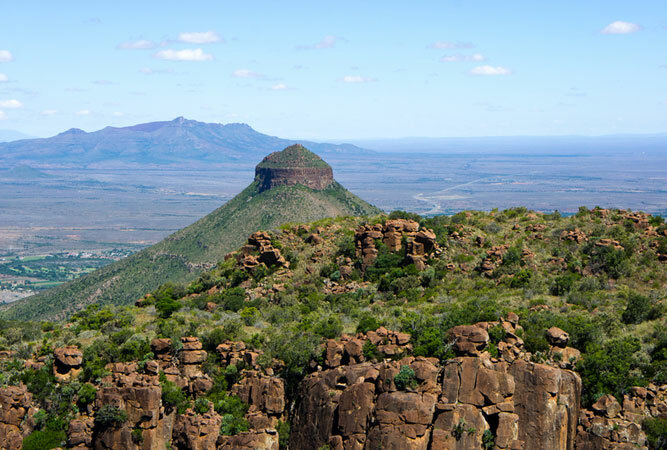 The little Karoo dorp of Nieu Bethesda is famous for its Owl House and Two Goats Brewery, but head up Riverdene Road, just outside town, and you’ll find a peaceful lookout spot with incredible views over the Gats River Valley; the Kompasberg in the distance. Wow. 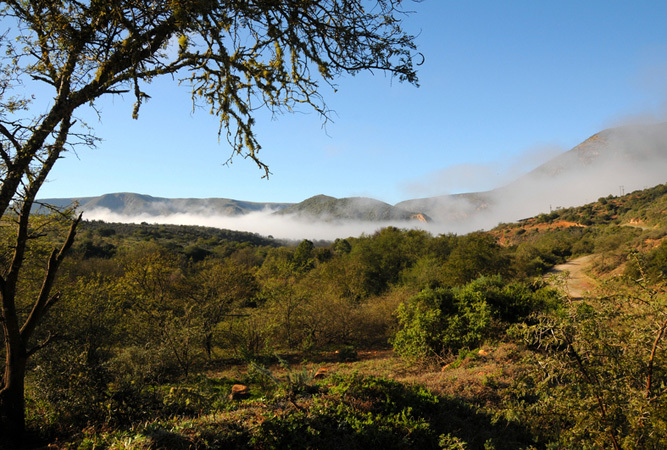 Just outside the town of Addo (close to the Addo Elephant National park) is the Lookout. Just as it suggests the heritage site (established by Sir Fitzpatrick’s daughter and son-in-law) has incredible views out over the Sundays River Valley. Anyone who’s been to Hogsback will deride this mountain stage as a ‘secret’ spot, but not all that many people get to the little mountain village of Hogsback, despite its being worth a visit. As its name suggests, The Edge is a retreat perched, literally, on the edge of a cliff overlooking the Amatolas and a deep gorge. In amongst the incredible gardens are a few cottages, and a labyrinth. The views are incredible. This is the second largest indigenous forest in the country after the Knysna Forest, 7 km from Stutterheim. Through it wind a number of trails that take you into the heart of the forest alive with the calls of birds. For dramatic scenery, do the 17 km red route. If you’re even vaguely appreciative of history and architecture then the combination of university buildings, colonial monuments, the incredible Anglican cathedral, after which the square is named, and Edwardian and Victorian-style department stores will have you itching for your camera. One of only a few waterfalls that plunge directly into the ocean in the world, Waterfall Bluff is a geological wonder, no less beautiful for the hike that takes you there (do a guided tour). Find it close to a series of near-vertical cliffs south of the Msikaba River. Another cityscape, scale the Campanile (one of the favourite tourist things to do when in the friendly city) for views out across the harbour and surrounds. The memorial is 204 steps to the Observation Room. 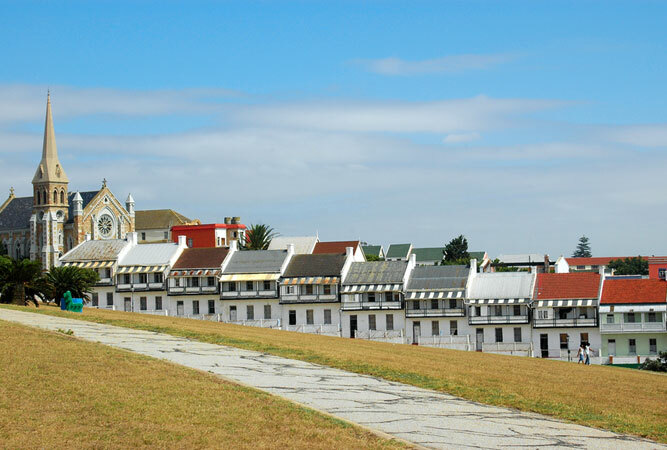 The Victorian churches and terraced cottages of Donkin Street are photo moments in the making. Not only are the views over the dunes and accompanying coastline magnificent from atop this lighthouse, 25 km east of Port Alfred, but it is also one of few lighthouse’s at which you can stay overnight in the keepers’ cottages (note: the road to the lighthouse necessitates a high-clearance vehicle). Either wind farms are your thing, or they’re not. But the sight of 40-odd turbines against the skyline is inspiring. 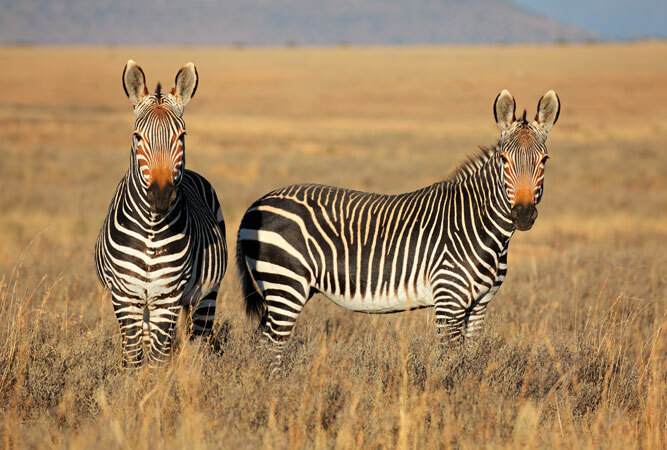 You would be hard-pressed to name any given viewpoint in the park as superior for the Mountain Zebra National Park, near Cradock, is one of the most scenic of the country’s parks. 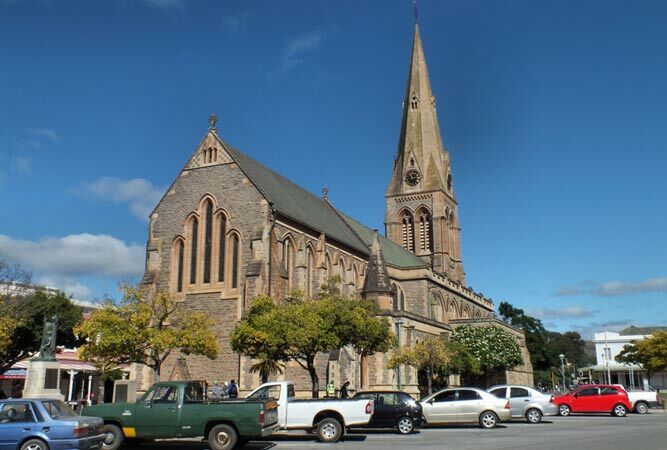 Graaff-Reinet is practically a museum, almost every street in the old town a tribute to history and historical architecture. It contains more national monuments than any other town in the country with photo moments around every corner. 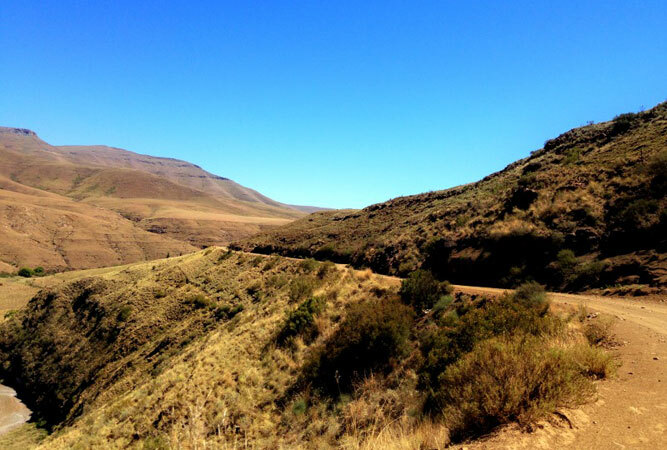 The Baviaanskloof is one scenic moment after the next, but we’ll settle for the second leg of the circular Leopard Trail from Cedar Falls Base Camp as an incredible view. Day two heads through Rhebok Valley with a detour to Cedar Viewpoint (well worth taking) and on to Reflection Pools. 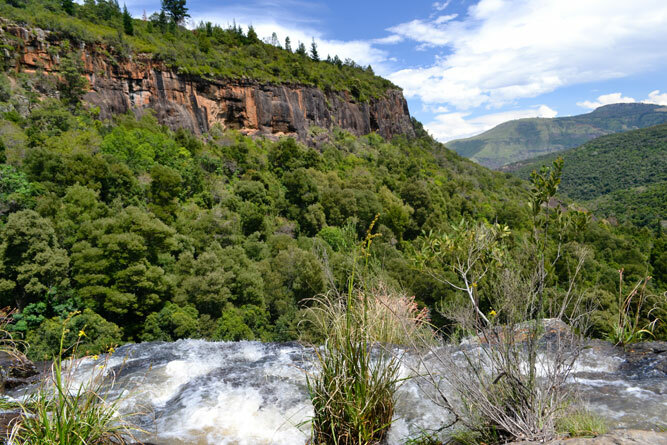 Blindekloof has a couple of hikes – upper and lower Blindekloof. 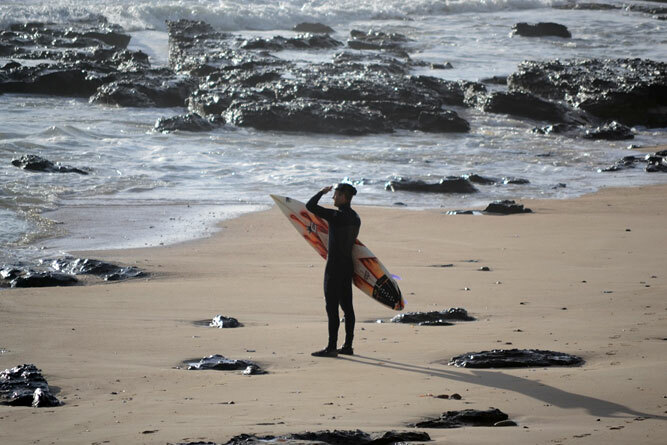 Whichever way you explore it, the Wilderness kloof is rewarding, both with rock pools and with views.